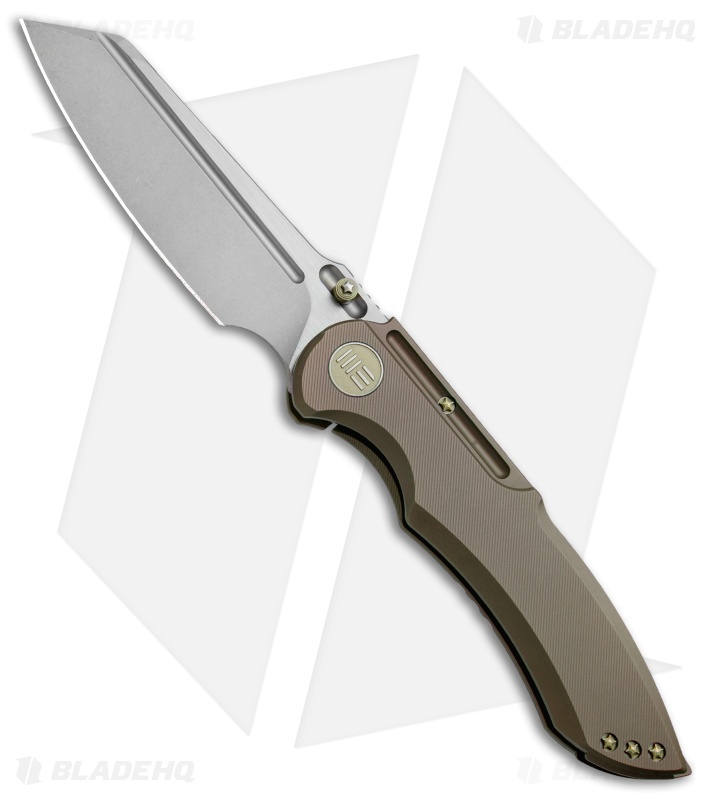 The WE Knife Co. 620L is a resilient frame lock folder made with premium materials and built-to-last construction. Its wharncliffe style blade features deep notched jimping, ambidextrous thumb studs, and a two-tone finish with stonewashed grinds and satin flats. Ergonomic contouring, double choil grip, and subtle texturing ensures security in-hand at all times. The 620L is equipped with ceramic ball bearings for quick, responsive blade deployment. 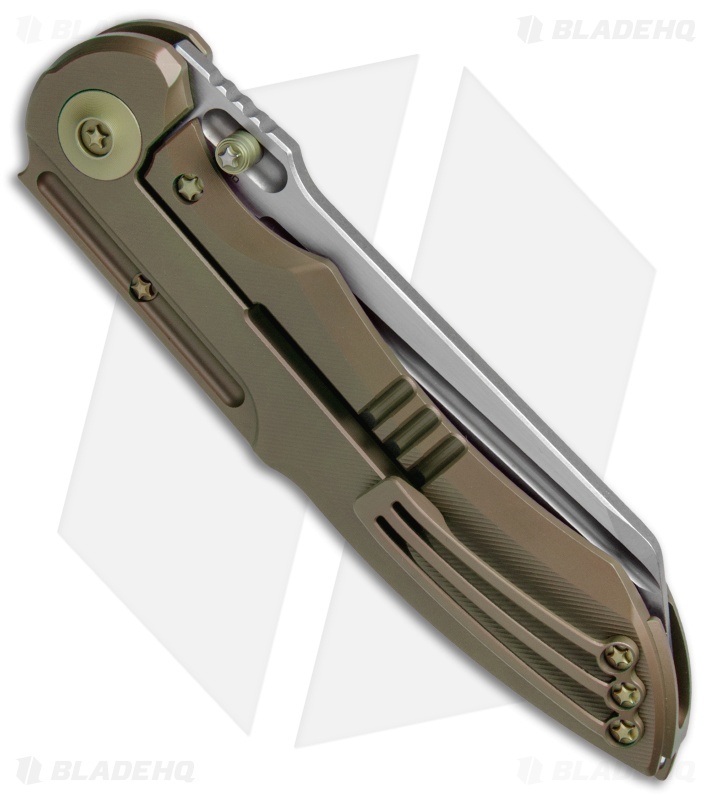 This model has a bronze anodized titanium handle with bronzed hardware. 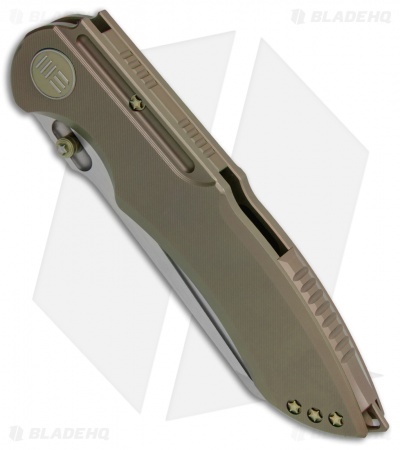 Ceramic ball bearings provide responsive blade deployment. M390 blade steel offers exceptional edge retention and durability. Titanium frame lock construction for a heavy duty build that won't weigh you down.